one to ones with directors, actors, academics and others connected with the nouvelle vague. Ahead of its cinema release we talk to director Kent Jones about his film Hitchcock/Truffaut, a documentary about the seminal book of interviews between Truffaut and his hero, Alfred Hitchcock. Newwavefilm.com interviews Head of the Film Programme at the BFI, Geoff Andrew, who talks about Rohmer’s films and his own personal recollections of the director. In conjunction with the BFI’s major retrospective of Jean-Luc Godard’s 60-year career, we asked the season’s co-curator Michael Witt for his thoughts on what makes Godard such a unique and important filmmaker. To celebrate the BFI’s season Defiance and Compassion: The Films of Vera Chytilová, we asked film scholar Peter Hames for his insights into the life and career of one of the defining figures of the Czechoslovak New Wave. Newwavefilm.com interviews Head of the Film Programme at the BFI, Geoff Andrew, about the life and work of Martin Scorsese. We interview BFI curator, Geoff Andrew, about the influences that shaped Melville and the defining characteristics of his cinematic vision. 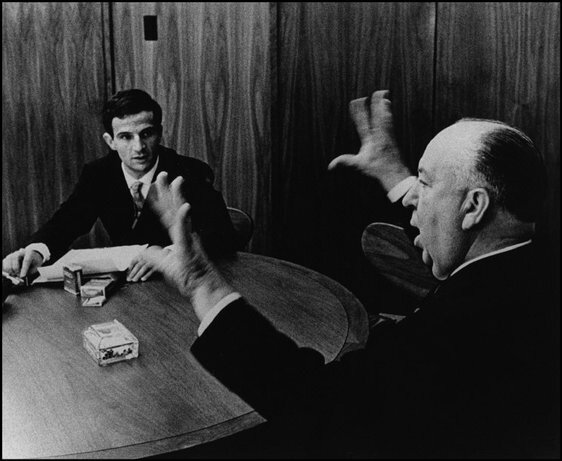 In late August 1962, Francois Truffaut carried out a week of all day interviews with Alfred Hitchcock covering his life and work in cinema. The tapes, re-discovered by Serge Toubiana in the 1990s, can be heard here in full, in audio format. Jean-Luc Godard interviewed by Tom Milne prior to the first screening of Vivre sa vie (1962) at the London Film Festival.